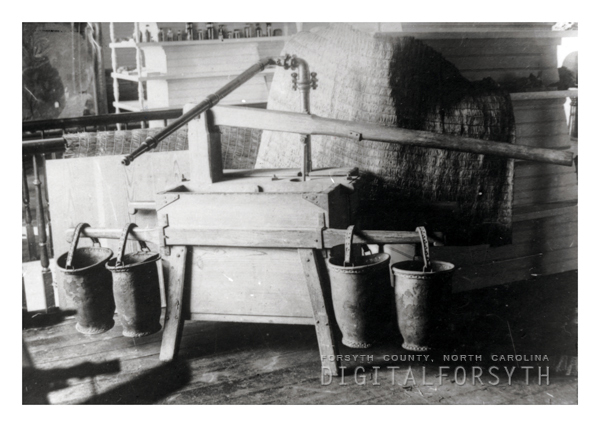 This image is inscribed, “First fire engine in North Carolina Salem, NC c. 1785.” The hand-powered fire pump is pictured here with four leather fire buckets hanging from its frame. This image is inscribed, "First fire engine in North Carolina Salem, NC c. 1785." The hand-powered fire pump is pictured here with four leather fire buckets hanging from its frame. "First fire engine in North Carolina Salem, NC c. 1785"